In this post, we run through the key features of Houzz and teach you how to optimise your profile to present your business in the best light possible, on the platform. Houzz is a social platform that brings home and garden design professionals together with people renovating their homes – allowing sharing of imagery, descriptions of services, design inspiration and forums for discussion and advice. Houzz was founded by Adi Tatarko and her husband, Alon Cohen, in June 2008 – after the couple discovered a market need for assistance with remodelling projects – consolidated into one place. For interior design, home furnishings, architecture, landscape design, and home improvement businesses and freelancers – being on Houzz is more of a necessity than a nice to have. The stats speak for themselves: Houzz has 3 million users in the UK and 40 million globally. Its users’ incomes and home values are twice the national average – pretty appealing as a platform to market your expertise on, right? With an average audience age of 51 – 19% of those with two or more homes – and 75% currently renovating or planning a renovation, Houzz represents a fantastic opportunity to market your business to those in planning and buying mode. To make Houzz work for you, be sure to consider the advice below. The old saying rings as true on Houzz as it does in real life – people buy people i.e. giving your profile a personality pays off. An Ideabook on Houzz is similar to a Pin-board on Pinterest. Essentially it’s a collection of images and descriptions of those images, with links to relevant products contained in those images – all in one handy ‘themed’ collection. To create an Ideabook, first plan out what collections of photos you’d like to share with visitors to your profile. Shots of your latest products and projects are great and act as case studies and trust indicators of the great job your business can do – but how can you make them more interesting to people looking for specific things? Some ideas include creating Ideabooks for specific styles e.g. Contemporary or traditional, country or coastal etc. You could also create Ideabooks focused solely on colour inspiration, or perhaps specifics on how to choose the right furniture for your home etc. Be creative and most of all be useful! People are searching for design inspiration. 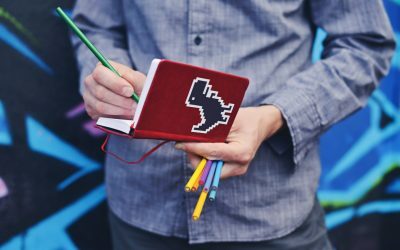 By creating a wide mix of Ideabooks, you stand a greater chance of getting your business in front of potential customers. Take a look at the advice section for inspiration on the types of questions people want support with. Then provide Ideabooks that answer those (as long as it fits with your product offering) e.g. what’s the best colour scheme home gyms or how to plan the layout of a home bar / kitchen’. You can even share Ideabooks with clients by sending them access via email. You can then work in collaboration on projects / tweak design suggestions throughout, without even being in the same location. Check out these quick-fire tips on how to create an Ideabook. Once you upload images to Houzz, be sure to write a useful description e.g. dimensions, materials, paint colour, price etc. (if relevant) in the description of your photo. You can also tag photos, which will add ‘virtual label’ to your photo, pinned to a specific element in the photo (that displays more info when a user engages with that tag). Within tagging, you can choose tags with price included, or simply a ‘note’ tag – where perhaps you don’t sell the product on its own, but as part of a bespoke design project. 86% of decisions on Houzz are based on reviews. Aim to get at least 3 reviews as quickly as you can and build from there. Houzz facilitates this by enabling you to send review requests to customers through the platform. Be sure to make your review request personal and consider calling ahead to secure the review quicker / have a higher success rate. Any business can setup a Houzz account for free, but – understandably it is a more restricted experience. Pro+ is the beefed up version of Houzz – it allows you to for example enter your business into more than one category. On the free version you may only enter a single category, whereas on Pro+ you could list your business in both ‘Design and build’ and ‘kitchen remodelling’ for example. Pro+ also gives you access to data on engagement with your profile – so you can see how well it’s performing and make tweaks etc. The Pro+ local advertising programme gives you the ability to target specific regions – e.g. the county your business is based in and ensure your profile gets views from people living in those areas (and with more chance of converting into business, if for example you are a local rather than national business). Without Pro+, your profile will show to 40 million users across the world, your imagery jockeying for position amongst millions of images. So if you upload for example 200 images, they’ll be rotating in the large pool of 12 million images. 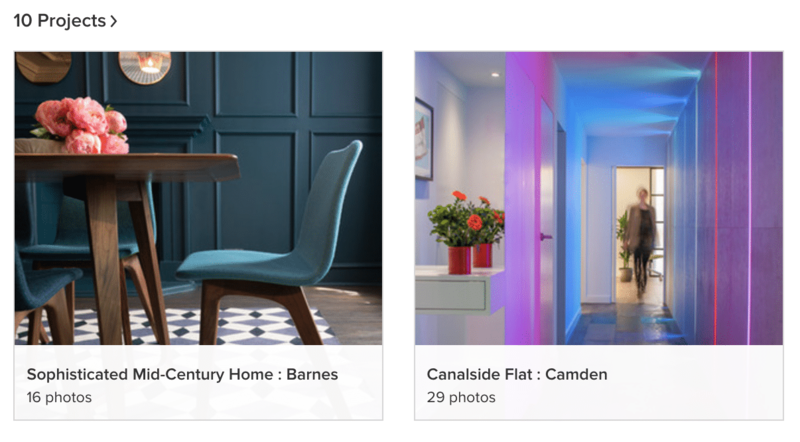 Houzz says their local advertising programme puts your imagery repeatedly in front of people in your area who use Houzz, increasing visibility in their professional directory, aiding following, profile clicks and impressions from people in your local area. There is a 12 month fixed price commitment to do so and Houzz says the average user takes 6-8 months from idea through to purchase, so advertising gets your name in front of them on a regular basis during that lead time – but is a slow burner. All in all, if you have budget available and are investing time in managing your Houzz profile – investing in Pro+ local advertising is worthwhile to make your Houzz profile work harder and more effectively. Make Houzz more successful for you is down to building a community. Draw attention to your profile by posting regularly in the advice section and taking time to answer user questions. 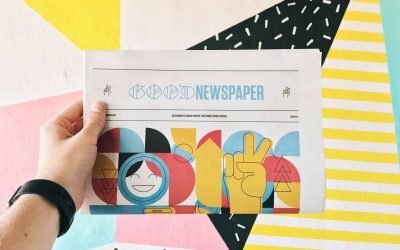 Consider posting in ‘Before & After’ projects section to give inspiration to people and build more trust in your brands and its successful projects. In addition, follow relevant interior designers – particularly in your local area. Houzz allows you to search by location e.g. within 25/50/75/100 miles of a specific location. Find these accounts and follow them to make them aware of your business. To supercharge your presence on Houzz, it’s worth trying to get regularly feature in Houzz editorial / inspiration articles. Once your photos are uploaded with a description and the completion date, send your uploaded project link and a description to: ukeditor@houzz.com. They will review each request and contact you if they decide to move ahead with an interview. Houzz is a must-use platform for anyone with an interiors and home improvement business. Whether you choose to pay to boost your profile engagement, or build it steadily with the tips above – it will be worth the investment of time. If nothing else, it’s a wonderful tool for collaborating with other designers and your own customers on specific projects, while acting a beautiful showcase of your work – building trust in your brand. Do you use Houzz? 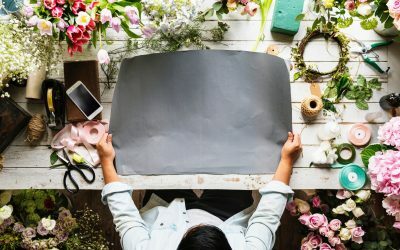 Would you add any tips the advice given above to help other businesses make more of it? Leave us a comment below and keep the conversation going. You can follow @GOATDigital on Twitter, for all the latest digital marketing news and updates.